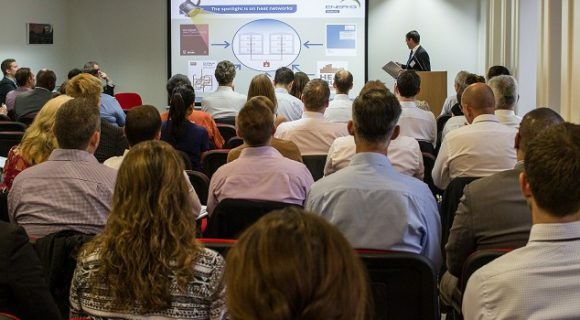 Social housing providers can take a look behind the scenes of one of the UK’s most successful district heating schemes on Tuesday 13 March in Sheffield. The free half-day tour and seminar is being hosted by the heat network owner and operator Sheffield City Council together with its service partner Switch2 Energy and The Association for Decentralised Energy (ADE). The event is open only to managers from local authorities and housing associations. Sheffield’s award winning district heating scheme provides reliable and affordable heat to 6,000 homes and commercial buildings. It is supplied by 135 plant rooms fed by low carbon energy generated from the city’s non-recyclable waste, together with gas and biomass generators. In 2013 the council appointed community heating specialist Switch2 Energy to install smart meters and prepayment systems to all residential properties, as well as bulk meters into the 135 plant rooms. This is resulting in an average cost saving of 38% on heating bills and is ensuring compliance with the latest heat metering regulations. Sheffield City Council’s Richard Hawson will discuss how the city’s heat scheme is achieving high levels of efficiency, reliability and affordability – to meet the needs of its residents and reduce the city’s carbon footprint. Ian Allan, Head of R&D at Switch2 Energy, will explain how the huge metering and billing project was managed and communicated across the entire heat network. He will discuss the principles of best practice in designing, developing and operating heat schemes that meet customer needs and deliver reliable, affordable warmth. A representative from the ADE will join the panelists to provide an update on heat network delivery and the latest steps to improve customer protection and heat network build and operation standards, while reducing investment risk. The free Sheffield city centre event will take place on Tuesday 13 March, from 11am to 2.30pm, including lunch. To register for the seminar visit the Eventbrite page click here.